If you stop at Tintern Abbey you have to take the 500m walk through the woods to Colclough (pronounced coke-lee) Walled Garden. 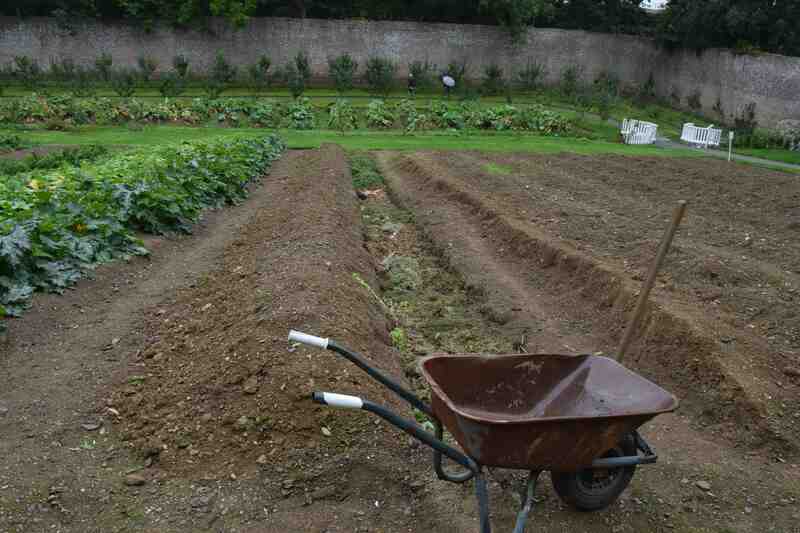 The recent history of this huge (1 hectare) walled garden is a story of massive effort by volunteers. 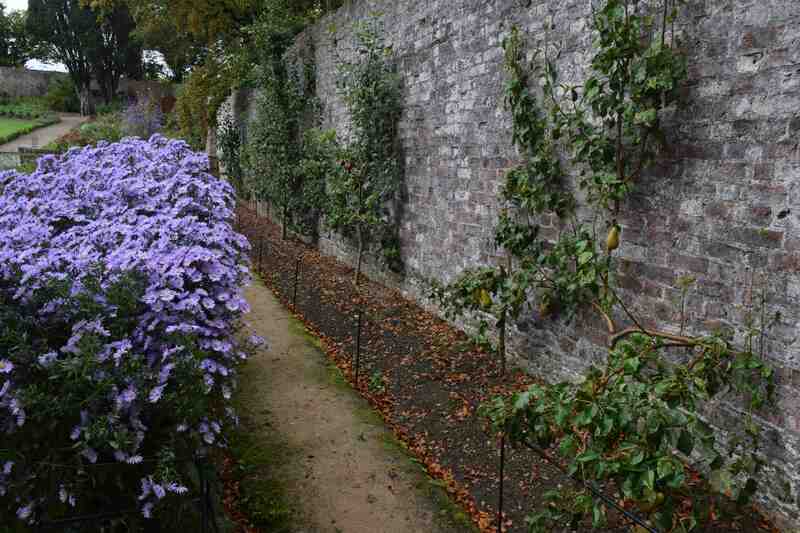 The garden was created by the Colclough family prior to 1814 and was made as a garden of two parts, enclosed on all sides but with a large dividing wall and two small buildings at each end of this wall (intra-mural buildings). 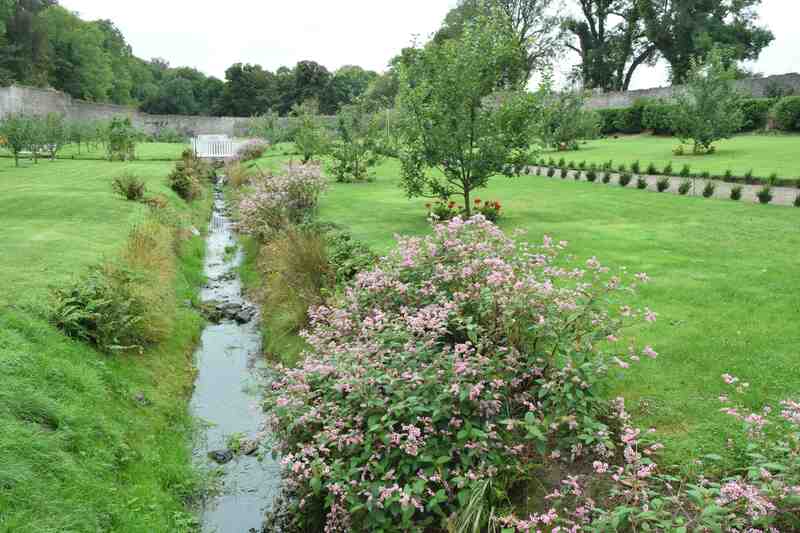 Unusually, a small river flows through the garden, crossed with ornamental bridges, and the garden is divided into an ornamental garden and productive garden. But the garden became overgrown and was basically hidden as trees surrounded and filled it. 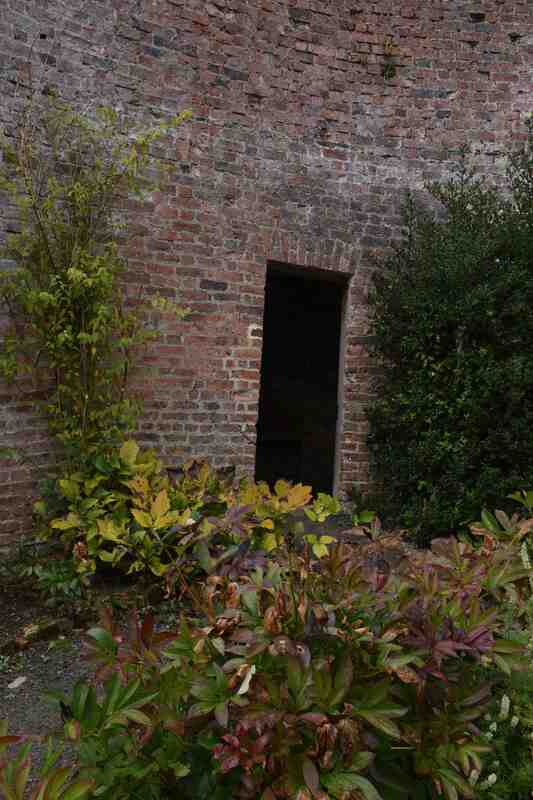 Some of the trees were planted (rather like the huge eucalyptus in the walled garden at Johnstown Garden – that need to be removed) but most, I am sure, were self sown. 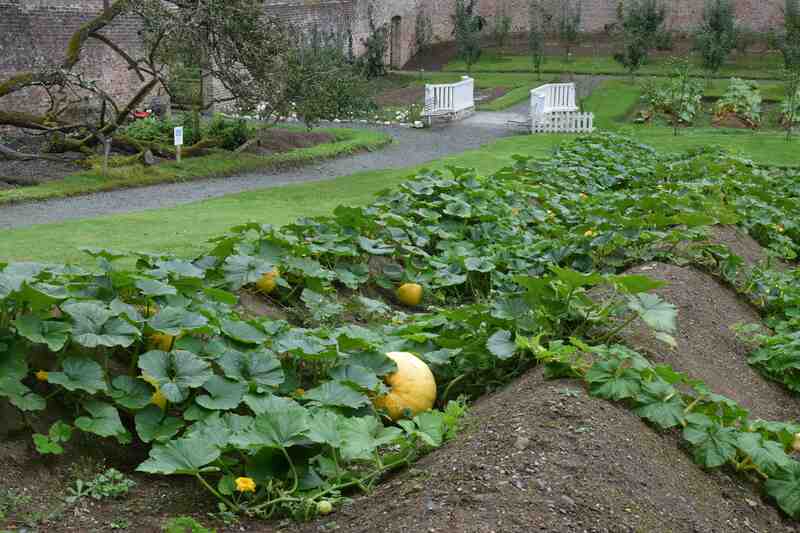 It was a massive undertaking to clear the garden, starting in 2010 and now the garden has been restored according to plans of the garden in 1830. There is still work to do but it is an exceptional example of what such a garden looked like. Hundreds of fruit trees have been planted and the garden grows veg according to ancient methods, largely on huge ridges to help the soil warm and drain. Being near the coast, seaweed is extensively used as a soil conditioner and the garden is cleverly designed so the north wall is higher than the south and the garden slopes to the south to give plants the best possible environment. All that is great. I have no intention to say anything negative about the huge efforts that have been made, and I am aware that I visited very late in the season. The restoration is still in its infancy but the ornamental parts do need more work because most of the perennials are simply planted in rows. This may be to grow them as simply as possible to build up stocks for later, permanent planting and it is easier to keep the weeds down if plants are in rows. But it all needs a bit of imagination if that is not the case. If you go expecting a ‘pretty’ garden you may be a bit underwhelmed but for students of history, or gardening it is an awesome experience and everyone involved is to be congratulated. Together with a look round Tintern Abbey, plan to spend about an hour for each or bring a picnic and wander through the woods and you could easily spend at least half a day. 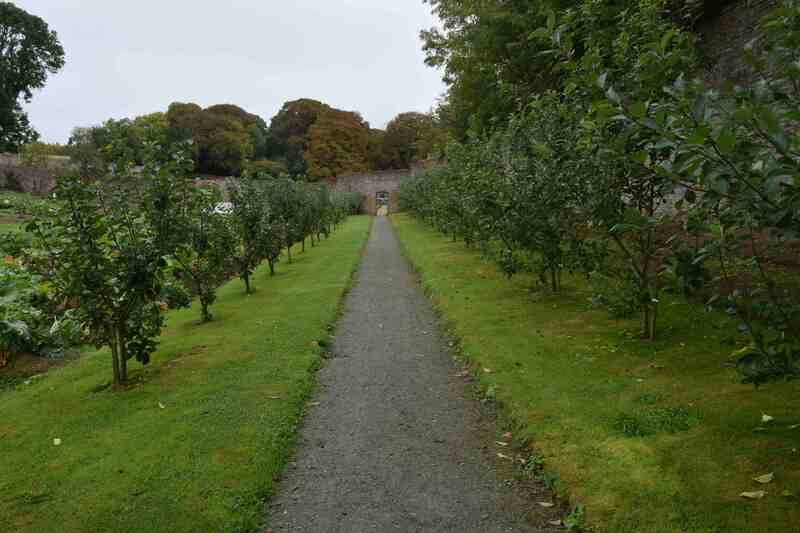 I have visited the walled gardens twice in the last two weeks. I was impressed by the amount of hard restoration work that has gone into it. I think that not everything is perfect, though, and have made comments in my own blog. Thankyou for your comments. 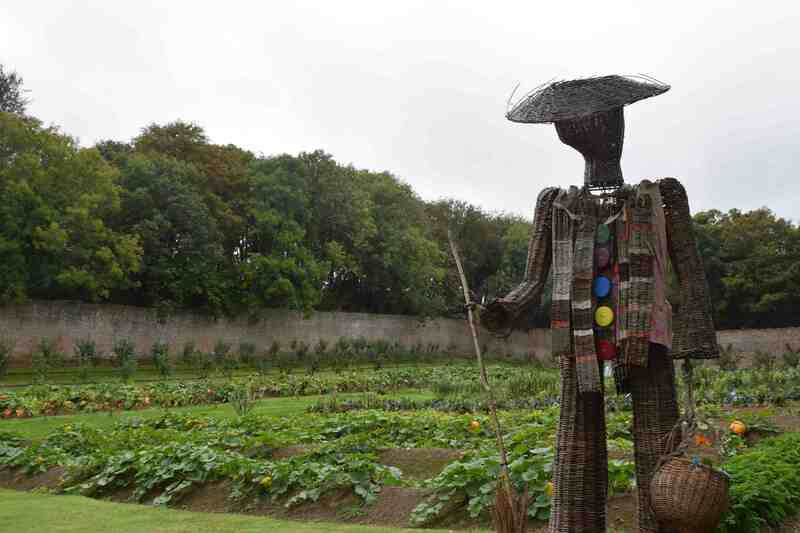 I looked at your blog post (and more of your fascinating posts) and agree about the comments about the wicker man, pumpkins and rhubarb. I would have commented on that too if it wasn’t for the fact that as i was rushing round in the rain the mode on the camera got knocked and my rhubarb shots were poor! They do grow a lot though but maybe that is just to fill space. I will be back to see how the garden progresses.